CSUN has been making recent strides to create a more drought-tolerant landscape. Photo by David J. Hawkins. 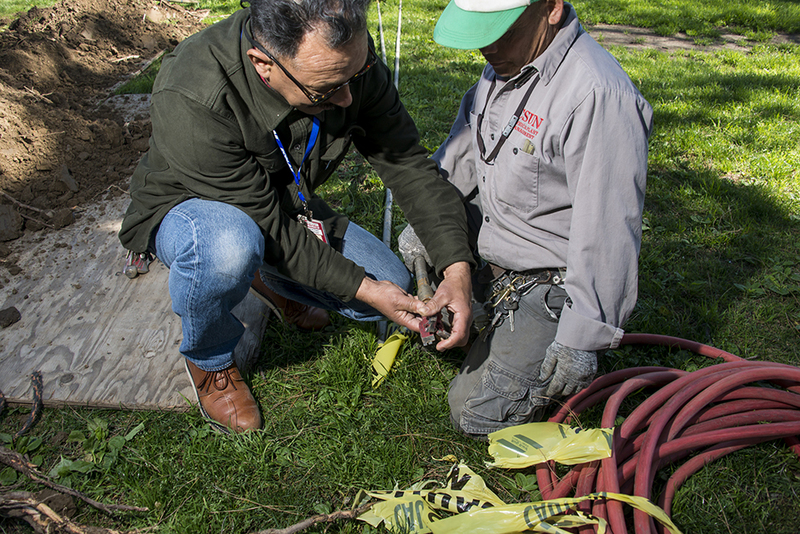 CSUN makes recent strides to create a more drought-tolerant landscape. Photo by David J. Hawkins. California State University, Northridge has answered Gov. Jerry Brown’s call to combat the Golden State’s extreme drought conditions over the past several years — and CSUN is taking steps this spring to make the campus even more water efficient. 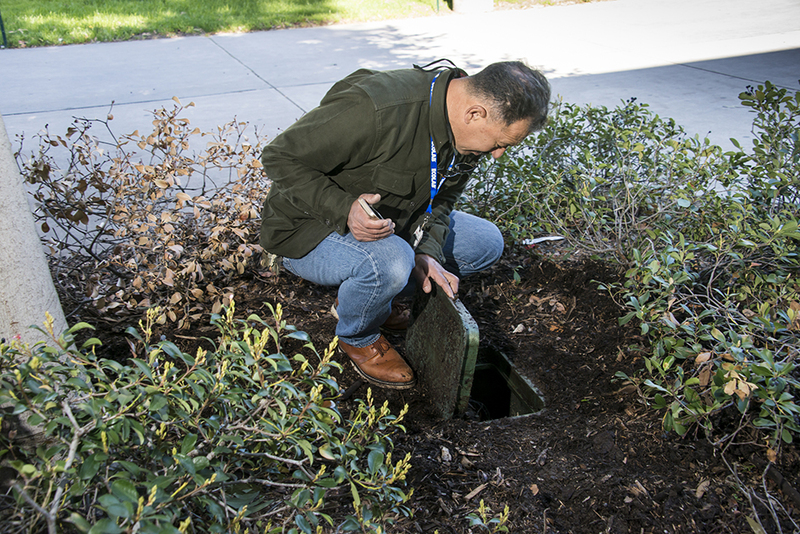 According to Austin Eriksson, CSUN’s sustainability program manager, the university created a plan to reach the 16 percent goal that would achieve the most immediate impact: Turn irrigation systems off and use drought-tolerant landscapes. 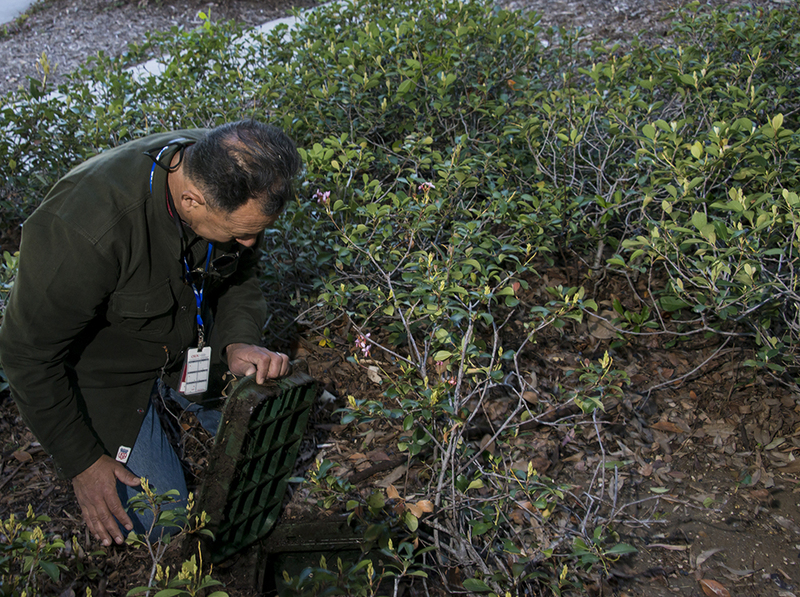 On Nov. 19, 2016, CSUN Physical Plant Management (PPM) shut off irrigation to 100 acres on campus. Throughout 2017, PPM will continue to shut down irrigation to campus areas, depending on need. “What we’re trying to do is control the water,” said Jim Logsdon, assistant director of grounds and events and a 26-year employee of CSUN. According to Logsdon, CSUN’s irrigation system has seen significant decreases — it has been active for just five days since Nov. 19. In addition to reducing irrigation, PPM researched types of plants that would survive in the San Fernando Valley’s warm and dry climate, requiring little water. The staff selected 32 plants for new areas on campus, such as the area surrounding the Extended University Commons — which opened in 2016. In large spaces such as the Delmar T. Oviatt Library Lawn, experimental measures were taken such as injecting a hydrogel under the surface of the grass — creating a spongelike layer during irrigation and ultimately helping conserve water in the area. Lawns that have been treated with the hydrogel have achieved a 50 to 70 percent decrease in water consumption, according to Logsdon. “We are controlling all water related to irrigation,” he said. “What we’ve done is experiment with what works.”CSUN has saved 55 million gallons of water since 2015 — in part due to those experiments — not only meeting the 16 percent goal, but surpassing it with a 22 percent water-use reduction. And campus officials aren’t resting on their conservation laurels. CSUN is making a longterm commitment to maintaining a drought-tolerant campus, Logsdon said.